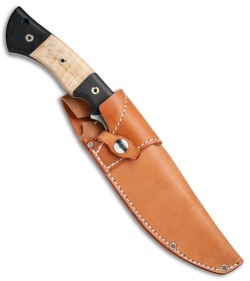 This OG Grizzly fixed blade is outfitted with black micarta and natural curly maple scales. 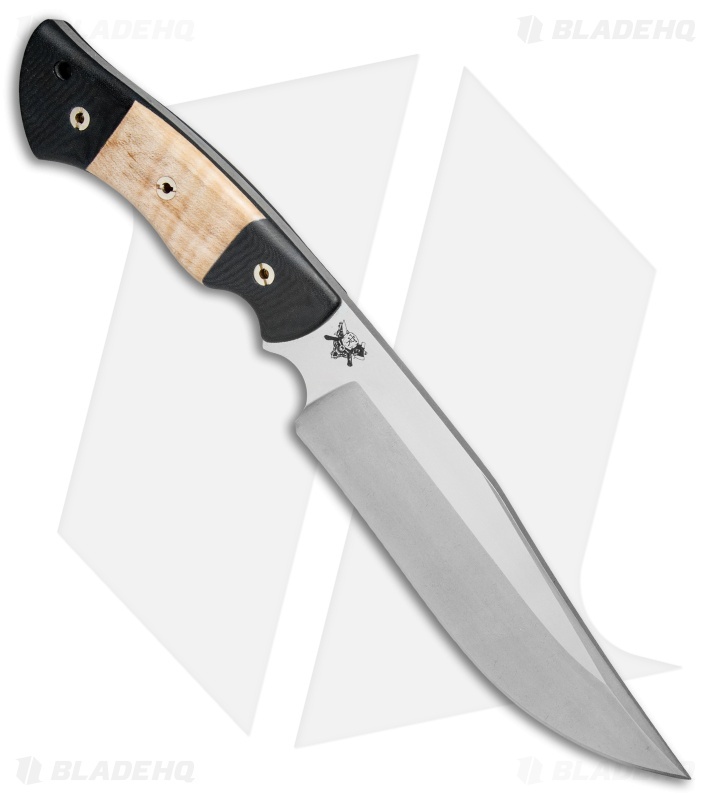 Its blade sports a two-tone finish with stonewashed grinds and satin flats. 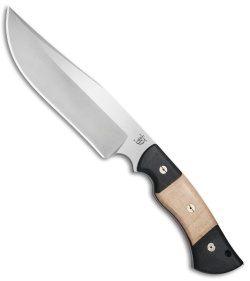 The OG Grizzly fixed blade offers a tough overbuilt design for managing your biggest cutting tasks. 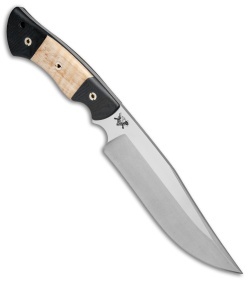 It has a thick 1/4" full-tang blade made from resilient CPM-3V steel. 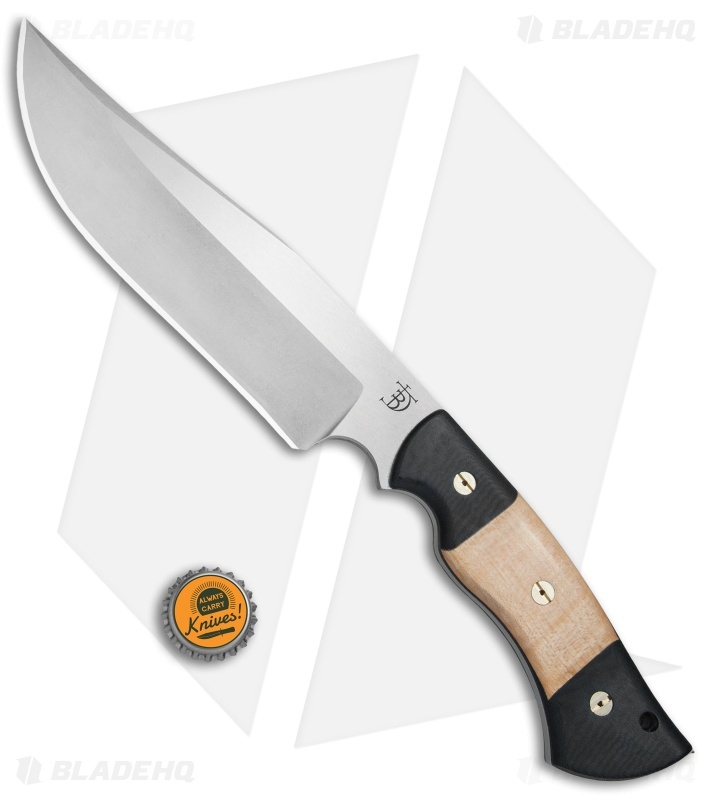 The large contoured handle sports a comfortable palm swell and a double choil for a high performance grip. Join the ranks of the Dark Timber Brotherhood with a fixed blade masterpiece from Dark Timber Knives. CPM-3V blade steel offers a thick, durable blade with a high performance cutting edge. 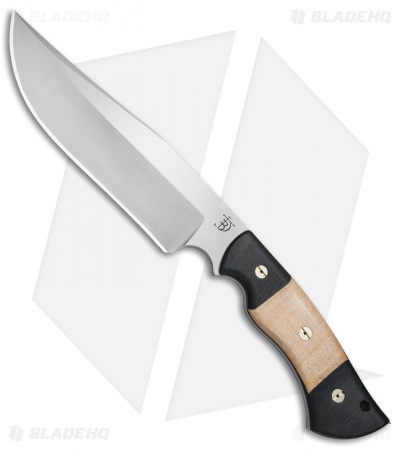 Ergonomically contoured handle design provides a secure, positive grip. Item includes a high quality leather sheath for convenient belt carry.